We are always working to expand our offerings at Winner Casino and we’re pleased to announce the arrival of three exciting new slots. One transports you into a world of superheroes, another will take you on a Spanish detective adventure, while the third introduces you to some beautiful Irish ladies just waiting to help you win big. If you enjoyed the 2016 film Batman vs Superman then you are sure to love the slot based upon it. The game is packed full of rewarding bonus features and offers the chance to win four progressive jackpots. 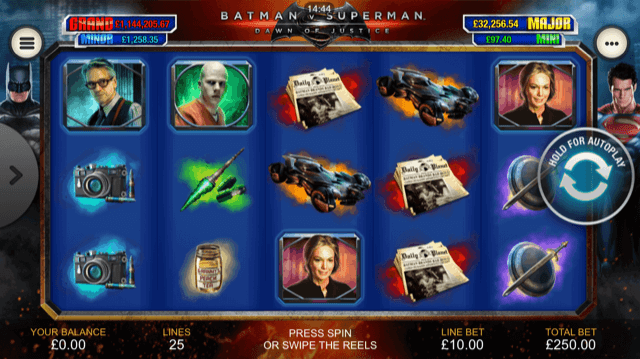 Batman vs Super man is a 5 reel slot with 3 rows and 25 fixed paylines. The reels have a blue background with Batman on the left and Superman on the right. All of the game’s symbols are related to the theme, the higher value symbols include the game’s logo and characters such as Lois Lane, Alfred J. Pennyworth and Lex Luthor, while the lower value symbols include Daily Planet newspapers, cameras, Granny’s Peach Tea, swords and shields, Batmobiles and kryptonite. The slot has an astonishing five wild symbols. There is the regular wild, the Superman wild, the Batman wild, the Wonder Woman wild and the stacked Doomsday wild. However, in the base game only the Batman, Superman and Doomsday wilds appear. They will replace all the other symbols to help and form winning combinations. During the base game if either the Batman or the Superman wild land they remain on the reels and shift with each spin. Batman will move to the right and Superman to the left. They will keep moving until they fall off the edge of the reels. If the Batman and Superman wilds land on the same row and clash then the Batman v Superman Free Games begin. First you need to pick one of the superheroes, Batman or Superman. During the spins every time that the two superheroes land on the same row they will clash and the losing superhero will shift off the reels leaving regular wild symbols in its path. If your superhero has won then you win four extra free spins. Every battle will also add more regular wilds to the reels. If you land the Doomsday wild fully on the third reel (so all positions are covered) then the Dawn of Justice Free Games begin. The Doomsday wild will begin fully stacked on the fifth reel and shift one reel to the left with each spin. When it reaches the first reel it expands to cover the first two reels and you receive one more free spin. However, during the spins the Batman, Superman and Wonder Woman wilds can all land on the reels. If you land one to the left of the stacked Doomsday wild then it will push the Doomsday wild back to the previous reel and this way you can win a huge number of additional free spins. As mentioned, the slot is linked to the DC Superheroes Progressive Jackpots. If you are hoping to win one of the jackpots then just keep the reels spinning as the jackpot game can begin at any time, even after a losing spin, and once it starts you are sure to win one of the jackpots. In the jackpot game, you will see a grid of twenty jackpot icons. Each time you click on one it will reveal one of four coloured jackpot symbols. Each colour corresponds to one of the jackpots up for grabs and you win a jackpot when you fill up its meter. To win the Mini jackpot you need to find two green icons, the Minor jackpot is won with three blue icons, the Major jackpot is won with four yellow icons and the massive Grand jackpot is won by finding five red icons. At present the Grand jackpot is worth close to £1.2 million! 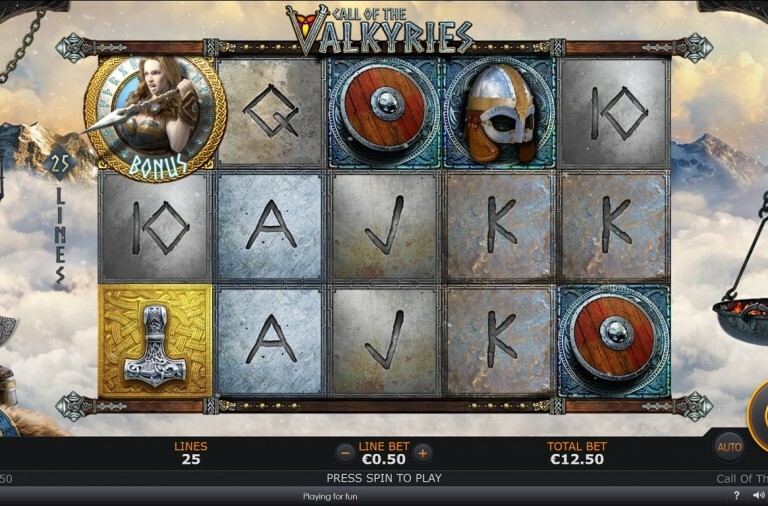 The slot has a betting range of £0.50 up to £2,500 per spin. There is a top payout of 1,250x available for landing five of the logo or wild symbols on a payline. Lex Luthor can payout up to 400x, Alfred J. Pennyworth can payout up to 300x and Lois Lane can payout up to 200x. This is one of the most exciting slots released in a while and with such a huge progressive jackpot up for grabs it is bound to provide hours of fun. Choose your superhero and give it a spin today. Torrente is one of Spain’s most loved characters, a detective who appears in a number of films. Regardless of whether you have heard of him, you are sure to love playing the slot based upon his films as it offers some fantastic bonus features. 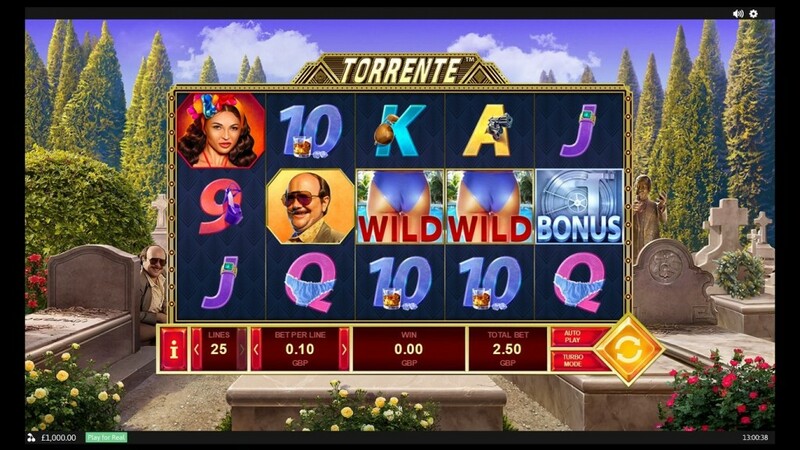 Torrente is a 5 reel slot with 3 rows and up to 25 paylines. Behind the reels you can see a cemetery with the detective himself sitting on the left and some trees in the background. The high value symbols are four characters from the films, the detective, a woman, a man in a purple shirt and a bald man. The lower value symbols are the playing cards 9 through to A decorated with items such as guns, whisky, jewellery and women’s clothing. The wild symbol is a woman’s bum in bikini bottoms, it can substitute for all the other symbols, except for the bonus symbols, to help and form winning combinations. The bonus/scatter symbol is a vault and in addition to offering scatter payouts it is the key to triggering the main bonus feature. When three or more of the bonus symbols land on the reels the Óperacion Eurovegas Bonus begins. It is a two stage game, in the first stage you need to spin a wheel of fortune to win a multiplier of up to 100x, in the second stage you need to select four out of six items that award cash prizes. When the wild symbol lands on the middle three reels simultaneously the Hotel Paradise Free Games begin. 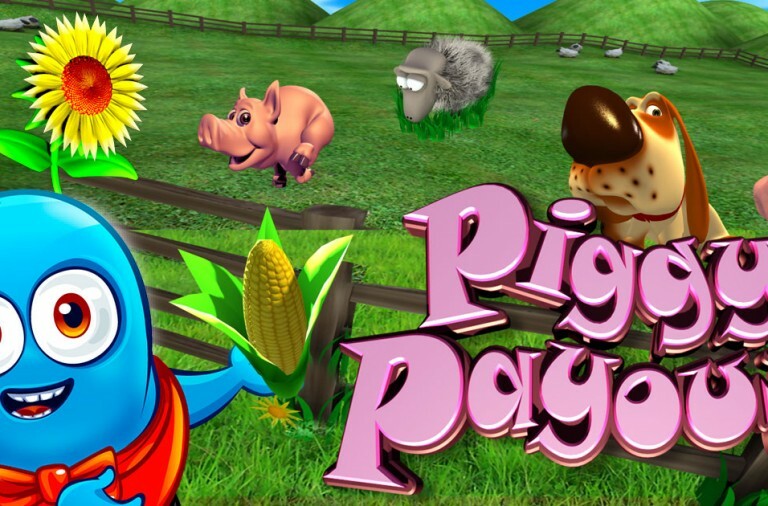 You win fifteen free spins complete with a 3x multiplier. Furthermore, not only can the free spins be retriggered, but it is also possible to trigger the bonus game from them. The slot has a betting range of £0.01 up to £25 per spin so it is suitable for all sizes of budget. There is a top payout of 5,000x for landing five of the Torrente symbols along a payline. The woman can payout up to 1,000x and the two male characters can both payout up to 500x. The A and K can payout up to 200x, the Q and J up to 150x, and the 10 and 9 up to 100x. The bonus symbol offers scatter payouts of up to 100 your total bet for a spin. Why not take yourself on a Spanish adventure with this colourful character and with a bit of luck it will lead to some huge wins. If you are one of the many players that love Irish themed slots then you are bound to enjoy playing Gaelic Luck, a new release that introduces you to a trio of beautiful Irish lasses just waiting to help you win. 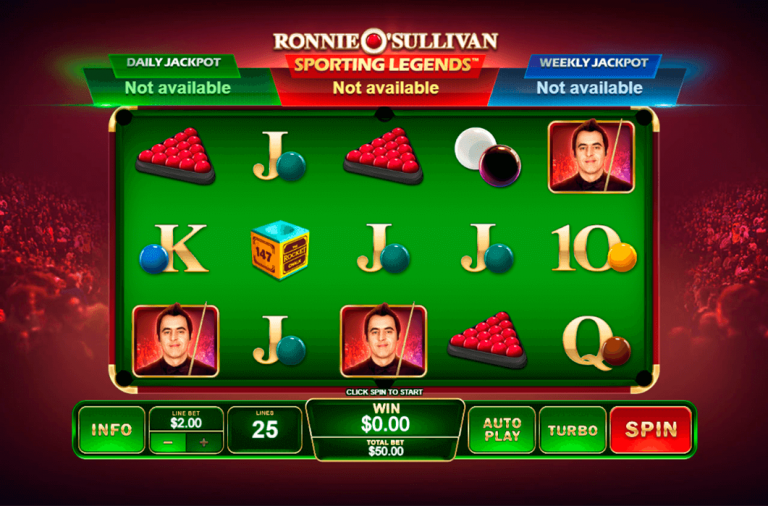 Gaelic Luck is a 5 reel slot with 3 rows and up to 20 paylines. Behind the reels you can see a green background decorated with shamrocks. There are just three high vale symbols, the Lucky Lasses wearing green, blue and pink. The lower value symbols are the playing cards 10, J, Q, K and A. The wild symbol is a large pot of gold, it will substitute for the other symbols, except the bonus and scatter, to help and form winning combinations. The game’s logo is the scatter symbol while the bonus symbol is a four-leaf clover. If you can land the bonus symbol on the first and fifth reels simultaneously then the Lucky Lasses Bonus game begins. 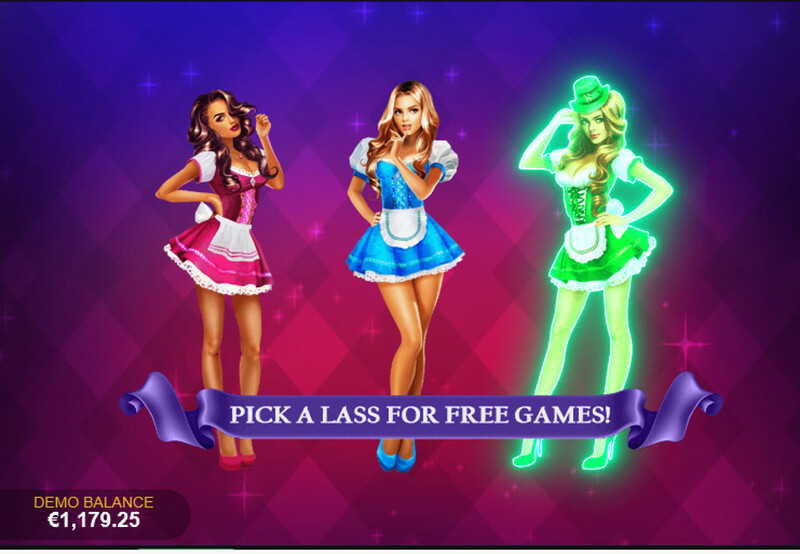 You need to choose one of the three girls to see how many free spins you have won. Next you need to pick from six clovers to receive a payout multiplier. With a bit of luck you can end up with 20 free spins and a 10x multiplier. Better still, the spins can be retriggered by landing more bonus symbols. Gaelic Luck has a betting range of £0.01 up to £20 per spin. There is a massive top payout of 10,000x available for landing five of the wild symbols along a payline. The lass in green offers payouts of up to 1,000x, the lass in blue can payout up to 500x and the lass in pink can payout up to 400x. If you want to get to know these lasses then give this slot a spin today and with a bit of luck they will guide you to some massive payouts.